Nothing delivers the perfect user experience like a Thermaltake product! With the motivating company vision of building a cultural brand for the enjoyment of entertainment, esports, technology and lifestyle, Thermaltake products provide complete solutions from entry to enthusiast level. The challenging, creative and combative features of Thermaltake products reflect and distils the companys essential values, vision and strengths. With Thermaltake, no feature gets left behind! * Manufacturers model code: CL-F029-PL08BU-A. Would you like to know more? 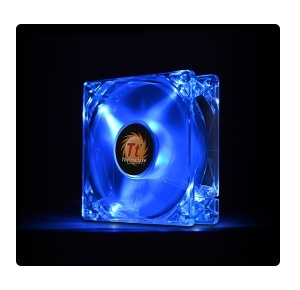 Visit the Thermaltake product information page.